Tamil Community has been experiencing an exponential growth in Sydney and in Australia in recent years. Comes with this growth is the steadily raising community aspirations and needs to have an active and vibrant social life that goes beyond occasional cultural gatherings. This was the main finding of our community survey. 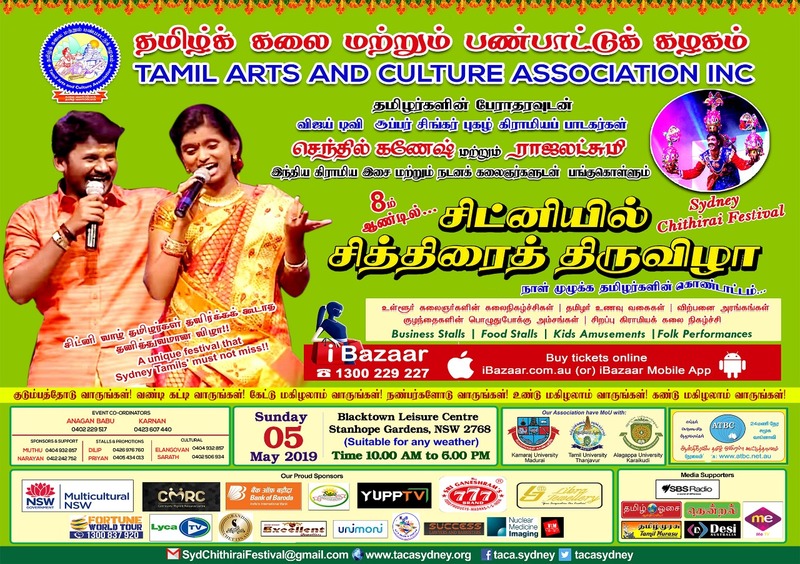 "Tamil Arts and Culture as a mainstream culture in a multi-cultural Australia"
"Build a STRONG and COHESIVE Tamil Diaspora that contributes and strengthens multi-cultural Australia through Tamil Arts and Culture"
TACA is a secular, apolitical and transparent organisation with its volunteer members strongly believing in a cohesive 'outcome focussed' approach in order to achieve outstanding results for the benefit of the Tamil Community.